With the Turtles...Up To 75% off Shore Excursions! Wonder How You’ll All Make it for 7 Days Together? Up To 75% off Shore Excursions! First things first--turtles are guaranteed on this tour. You will experience them. Sail over beautiful waters, observing gallant Hawaiian green sea turtles elegantly navigating the waters. You'll want to dive right in with them to enjoy paradise together. Good thing is, you can! Every guest is provided with a snorkel, safety vest, and snorkeling gear. After a brief safety overview, snorkel away in the same playful waters as the turtles! Of course, you're going to get hungry. Luckily, an onboard lunch buffet just so happens to be included on this tour! Build your own sandwiches with meat, cheese, and vegetarian options. Chips, fruits, cookies, and unlimited non-alcoholic beverages complete the package. You do, however, receive two free bar drink tickets per adult ($1/beer, $2/mixer extras). Book this breathtaking and tummy-satisfying Oahu shore excursion for a memorable Hawaii experience. Go back home feeling rejuvenated, refreshed, and renewed! Cost: $139.00 per person; children under 3 are free. With family vacation planning underway for the summer, there are decisions to be made… Will you have the time - and budget - to plan a vacation for the entire family, plus give your children that “camp” experience that makes for great childhood memories? CruiseCompete says the answer is yes, and one vacation option provides a simple solution to your dilemma. 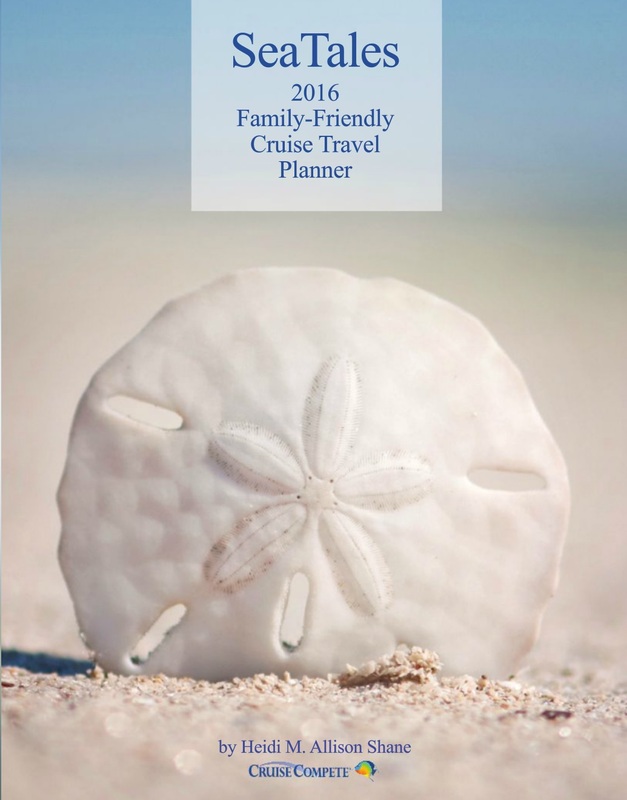 Take your family on a cruise this summer! In addition to the family-friendly accommodations, dining and entertainment options, the cruise lines also offer a variety of children’s programs that allow your family to experience time together… and time apart! The children’s programs are more than a babysitting service- they offer activities and programs that give the very best land-based counterparts a run for their money. Perhaps your child loves to cook and wants to know more about the culinary arts? Holland America has a Culinary Arts Center for Kids, where children can learn to make breakfast, lunch, dinner and snack items in 45-minute workshops. Below is a sampling of what the children’s programs have to offer… Be sure to click in to read about each program in its entirety, and click here to see a comprehensive listing of all the cruise lines’ children’s programs. Costa Cruises offers a children’s program for kids aged 3 to 17. The groups are divided into age categories and offer arts and crafts, sports competitions, and theme parties for all ages. Younger children will enjoy activities like treasure hunts, ice cream, Nutella and chocolate parties and “an evening at the circus”. Read more about Costa Cruises Children’s Program here. To book a cruise with Costa Cruises, or to find out more about the line, click here. See more Contemporary Cruise Line Children’s Programs here. Royal Caribbean offers nursery programs for children and toddlers ages 6-36 months. Their programs for children are divided into different age groups, ranging from ages 3-17. Royal Caribbean is home to the DreamWorks Experience, where young cruisers can experience activities such as story time, dance parties, parades, ice shows and aqua shows with characters from the DreamWorks Animation movies. Kids and teens can enjoy activities like rock climbing competitions, theme nights, and pool parties into the late evening with extended hours in the Adventure Ocean and teen-only spaces. Read more about Royal Caribbean’s Children’s Program here. 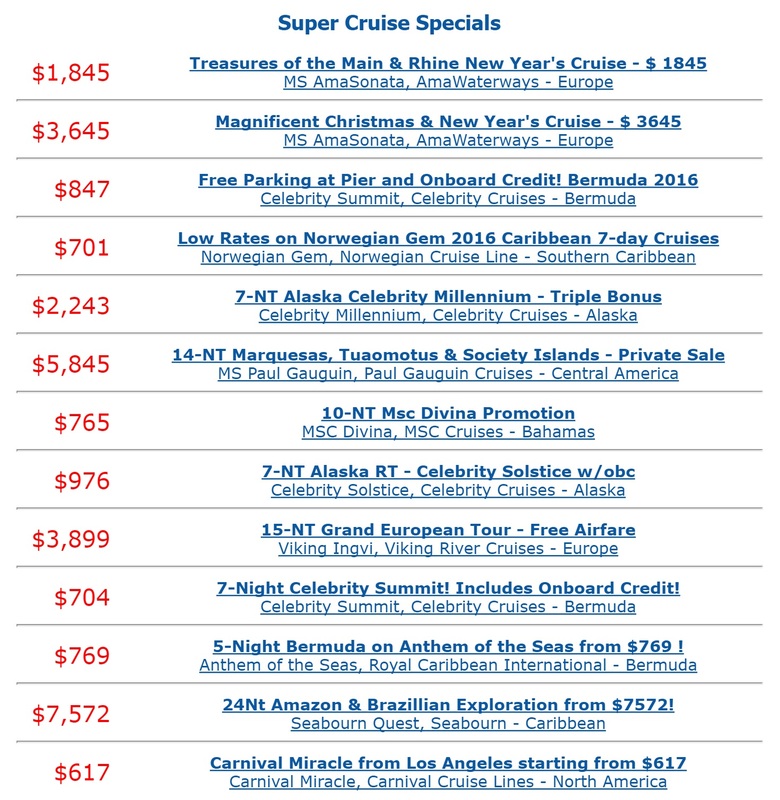 To book a cruise with Royal Caribbean, or to find out more about the line, click here. See more Upscale Contemporary Cruise Line Children’s Programs here. Princess Cruises offers a variety of activities for children aged 3-17, grouped by age. These groups have their own set of age-appropriate activities, often with separate facilities. Princess’s larger ships feature sprawling youth centers with indoor and outdoor areas. To make planning simple, a schedule outlining the next day's youth activities is delivered to your cabin each evening. The line features activities like ice cream and pizza parties, pajama parties and the opportunity to participate in Jr.CHEF@Sea for younger children, and teens have options like hip-hop dance classes, casino nights, mocktails, and special teen-only dinners. Read more about Princess Cruises Children’s Program here. To book a cruise with Princess Cruises, or to find out more about the line, click here. See more Premium Cruise Line Children’s Programs here. Read more about Paul Gauguin’s Children’s Program here. To book a cruise with Paul Gauguin, or to find out more about the line, click here. Cruising is a wonderful chance to introduce your children to never-before seen wonders- here are some great ideas of things to do with your children while on a cruise! 1. Visit world-renowned museums with your children – New England and Canadian cruises, in particular, provide plenty of fun and educational museum stops in port. Boston, a museum hotspot, features one of the nation’s premiere children’s museums and the enormous New England Aquarium. There’s also the Boston Team Party Ship, where kids can recreate dumping tea into the sea. 2. Enjoy Leisurely dinners with your children & room service with a movie – The early dinner seatings on cruise ships, especially those operated by Carnival, are full with families. Depending on the age of the children, it may get a little messy, but the ship’s staff loves the laughter. There are also specialty restaurants on many ships that welcome children. This is a great time to relax together and talk about the day’s events aboard the ship and life in general. Cabin service is available 24/7 on most lines, so you won’t have to worry about those growing teenagers and their constant hunger. Order a midnight snack and watch a movie together. 3. When was the last time you danced with your children? – There is plenty of live music aboard. For pure family fun, nothing beats family disco hour, especially aboard Royal Caribbean voyages. The pulsating beats, light shows and other special effects help everyone cut loose on the dance floor. And there is no doubt the kids will love to watch their parents’ smooth dance moves and enjoy a dance with mom or dad. 4. Build a sand castle on a private island – Most cruise lines that visit the Caribbean make a stop at a “private island” for a truly unforgettable day at the beach. Families enjoy splashing in the waves on secluded, pristine beaches, water sports galore and great beach barbeques. Make an unforgettable sand castle kingdoms with your children. 5. Mother-daughter spa experience – Nail-painting sessions are taken to another level on cruise ships, where they are invited to enjoy real spa treatments together. State-of-the-art salons and spas promote unusual treatments, relaxation and girl bonding opportunities. 6. Watch a Caribbean Sunset Together, The Real Meaning of Water Colors – A cruise offers a uniquely unobstructed view of the sea and the horizon, providing for an ideal setting for a family to watch a sunset or sunrise together. 7. Fireworks Everyday – For those families on Disney cruises that enjoy a little more pop in their sky gazing activities, an impressive fireworks show captivates cruisers of all ages each night. Launched from the deck of the ship, the fireworks explode nearby with reflections off the water and plenty of oohs and ahs from both kids and parents alike. 8. One-on-one time together – Kids and their parents alike can show off their shooting skills on full-size basketball courts on ships like Royal Caribbean’s Explorer of the Seas. The competition does not have to stop there, however. There’s also miniature golf, rock climbing walls, pools and waterslide games, ping pong, gaming areas and more to fuel family friendly competition. 9. Art auctions at Sea! – Onboard art auctions are a great place to expose kids to art appreciation. A number of cruise lines, including Regent Seven Seas, Royal Caribbean, Celebrity, Carnival, NCL, Oceania, Disney and Holland America Line, have offerings that have included works from Chagall, Picasso and Dali. 10. Explore the world together – Kids of all ages love adventure and exploration. From the rainforests of the Caribbean, cultural differences in another country, delicacies from the sea that they have never experienced the cruise vacation captured from their perspective will rekindle plenty of fond family memories back home. For more Family Travel resources, please visit www.cruisecompete.com/resources.php.